The Silver Strings provide elegant musical entertainment for weddings, receptions, and special events in northern Nevada and nearby California. 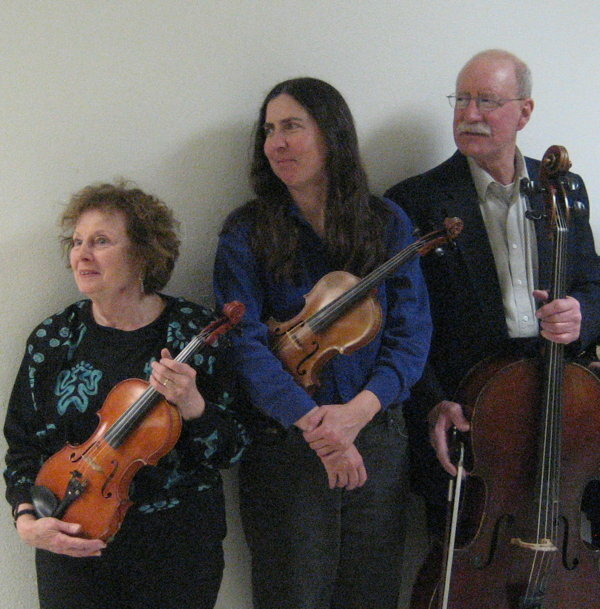 The group began playing together in the Carson City Symphony, in 2000 and has performed as a string quartet (two violins, viola, and cello) and various duet, trio, and quartet combinations, sometimes including flute and guitar. 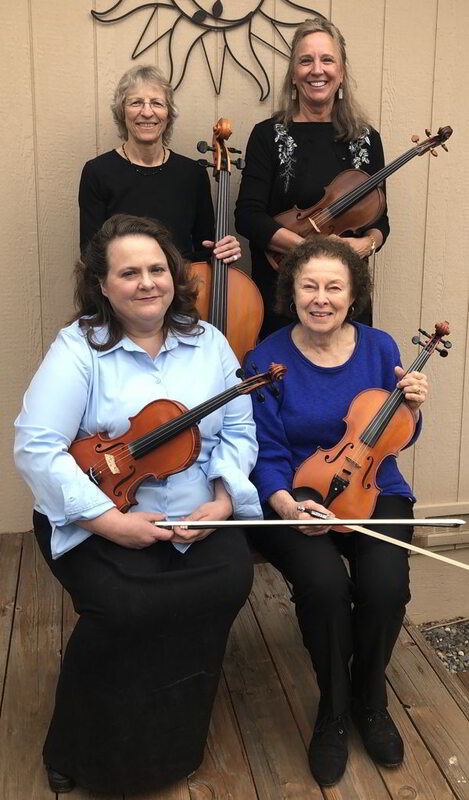 The current quartet (2019) composed of Catherine Park & Elinor Bugli (violins), Teri Howley-Barbera (viola), and Becky Crowe (cello). 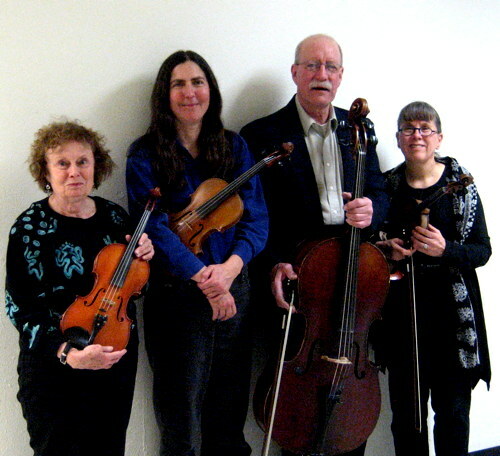 Quartet, prior to 2018, composed of Sue Jesch, Elinor Bugli, Lou Groffman, and Marie Groves. Trio, prior to 2018, consisted of Elinor Bugli, Laura Gibson, and Lou Groffman. 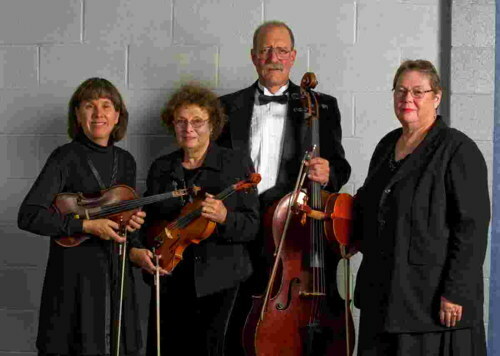 Quartet, prior to 2018, composed of Ellie Bugli, Laura Gibson, Lou Groffman, and Sue Jesch. 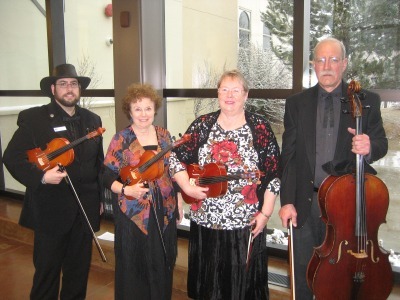 Quartet at Nevada State Museum (2012) composed of Eric Stern, Ellie Bugli, Marie Groves, and Lou Groffman. 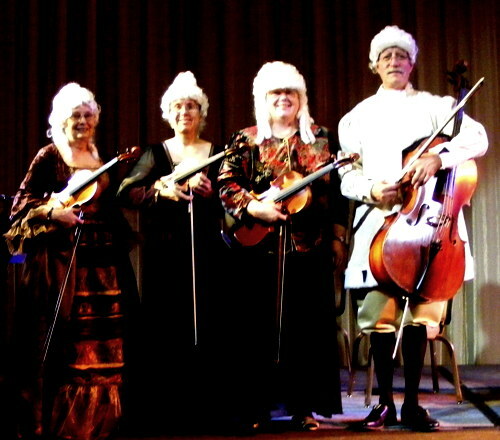 Quartet in 18th Century period dress (2009) composed of Ellie Bugli, Sue Jesch, Marie Groves, and Lou Groffman. Elinor Bugli, violin, plays in the Carson City Symphony and Carson Valley Pops Orchestra, has played in the Foundation Orchestra and the Ruby Mountain Symphony, and is manager of the Silver Strings. She is also President of the Carson City Symphony Assoc. Catherine Park, violin, is a first violinist in the Carson City Symphony. Teri Howley-Barbera, viola, is a violist in the Carson City Symphony. Becky Crowe, cello, is a cellists in the Carson City Symphony. She plays an instrument that she built herself. Laura Gibson, violin, is Associate Concertmaster of the Carson City Symphony. Brian Fox, occasional violinist and violist with the Silver Strings, is Concertmaster of the Carson City Symphony and plays in several Reno ensembles. He teaches string instruments in Carson High School, Carson Middle School, and Eagle Valley Middle School. Lou Groffman, cello, is principal cellist with the Carson City Symphony, was a cellist with Ruby Mountain Symphony, and has performed with the Foundation Orchestra (Reno) and TOCCATA Symphony Orchestra (Incline Village). He studied performance with Joanna de Keyser (University of New Mexico) and currently maintains a music school in Carson City teaching cello. Marie Groves, viola, was a violist in the Carson City Symphony and plays in several Reno ensembles. She also plays piano, clarinet, and percussion, as well as other string instruments. Sue Jesch, violin & viola, was Concertmaster of the Carson City Symphony, and performed with the Foundation Orchestra and the Ruby Mountain Symphony. She also Education Director responsible for Carson City Symphony's highly successful Education Programs: Symphony Youth Strings, Strings in the Summer, and the Not Quite Ready for Carnegie Hall Players. Eric Stern, violin, is principal violist in the Carson City Symphony and plays viola in the Carson Valley Pops Orchestra in Minden, Nev. He has played violin and viola with the Ruby Mountain Symphony and Reno Pops Orchestra. He specializes in Baroque, Classical, Modern Rock, Crossover, and Experimental Music, and has teaches violin and viola privately in Reno.